Salami added that the talks between the two countries would have to “return to square one” if the U.S. fails to keep its end of the bargain in the Iran Deal, formally known as the Joint Comprehensive Plan of Action, or JCPOA. World leaders involved in the signing of the JCPOA. On Thursday during the celebrations in Tehran, chants of “Death to America” and “Death to Israel” were heard in the streets that were filled with thousands of protestors. According to the Associated Press, U.S. and Israeli flags were also seen being burned and destroyed. The celebration marked the 37th anniversary of the Iranian students storming the U.S. Embassy in Tehran in 1979. Following the ambush, the student took 52 Americans hostage and kept them in captivity for 444 days. Since the attack, the U.S. and Iran have had zero diplomatic relations aside from the creation of the Iran Deal. 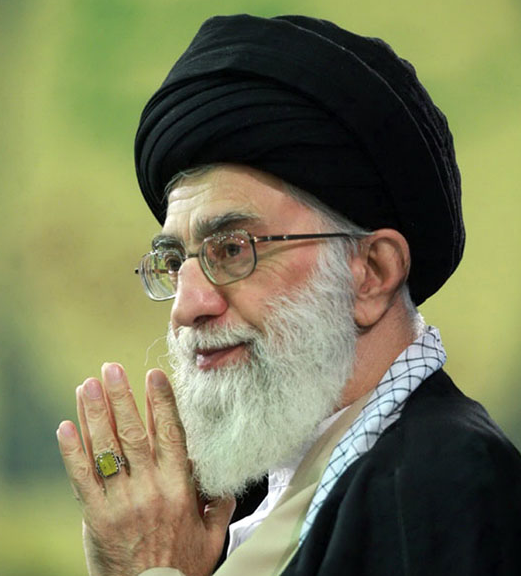 The country’s Supreme Leader, Ayatollah Ali Khamenei, is regularly outspoken about his hatred for the United States and has personally presided over “Death to America” chants in his country.